If you are looking to break away from the hustle and bustle of Hyderabad, the lakes in Hyderabad gives you a perfect setting for a peaceful evening! Among the historical monuments in Hyderabad, the lakes in this city have to be definitely visited by the tourists. Some of the lakes in Hyderabad have historical values attached to it and few other lakes are just beautiful bodies of water where people can unwind from their busy schedules. Generally, the lakes in Hyderabad are man made that were primarily build for the function of storing water for optimal use of people in times of need. Some of the popular lakes in Hyderabad include Hussain Sagar Lake, Shamirpet, Osman sagar Lake, Durgam Cheruvu and Himayat Sagar. Government planned to construct the lakes in Hyderabad by checking the Deccan topography of the particular region. Moreover, the practice of constructing lakes was followed by the people of Hyderabad from ancient times. With the help of these water reservoirs, million of people would be able to get drinking water and it also helps to reach the groundwater level of the area. The lakes in Hyderabad are widely used for recreational purposes including para-sailing, boating and other water sports. 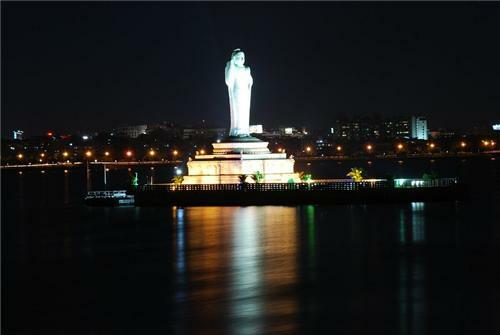 Hussain Sagar Lake is considered to be the historic and famous lake of Hyderabad. The ancient lake was constructed in the year of 1562 by the fanous sufi saint Hazrat Shah Wali with the aim to meet the irrigation and water needs of Hyderabad. 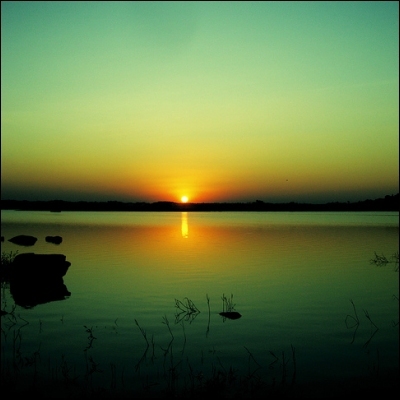 Situated about 2 km from the heart of the city, this lake connects Secunderabd to Hyderabad. It is important to know that Hussain Sagr Lake is the largest artificial lake in Asia. The best time to visit this beautiful lake is from October to March. If you want to explore the picturesque sceneries or beautiful rocky terrain, then plan a trip to Shamirpet with your friends and family. This lake was built during the period of Nizams dynasty which is located 24 kilometres towards north of Hyderabad. It is one of the best picnic spots to chill out and spend a good time with your beloved ones. Most of the people would prefer to cook amongst the greenery and rocks and it would create a thrilling experience. Added to this, the Kattamaisamma temple is situated at the beginning of the lake where offering prayers and various customs are followed by the people regularly. Also known as Secret Lake, Durgam Cheruvu is a popular destination in Hyderabad. Covered by granite rocks in the form of hills, this pretty lake is close to HITEC city and Shilparaman village. Andhra Pradesh Tourism Department has developed the lake as a major tourist attraction in which people can enjoy many activities like boating, trekking and camping. The secret lake is endowed with scenic beauty and pleasant landscapes. Popularly called Gandipet, the Osman Sagar Lake is situated in about twenty kilometres from Hyderabad. This artificial lake was created in 1920 by Osman Ali Khan, who was the last Nizram of Hyderabad. Tourists who are interested to stay overnight can also stay in the Sagar Mahal which enables to offer a spectacular view of the lake. This heritage building is converted into a princely guest house by the Andhra Pradesh Tourism Department. osman sagar lake is very beautiful and peaceful!! thanks for sharing the information about lakes. thanks for the information, can you suggest me some more popular attractions near hussain sagar lake? Hi! Charminar, Buddha Statue are some of the other famous attractions near Hussain Sagar Lake. Is there any lake is Hyderabad for Jet skiing ?